Apple has stopped signing iOS 10.2 firmware for iPhone and iPad, making downgrade from iOS 10.2.1 impossible. 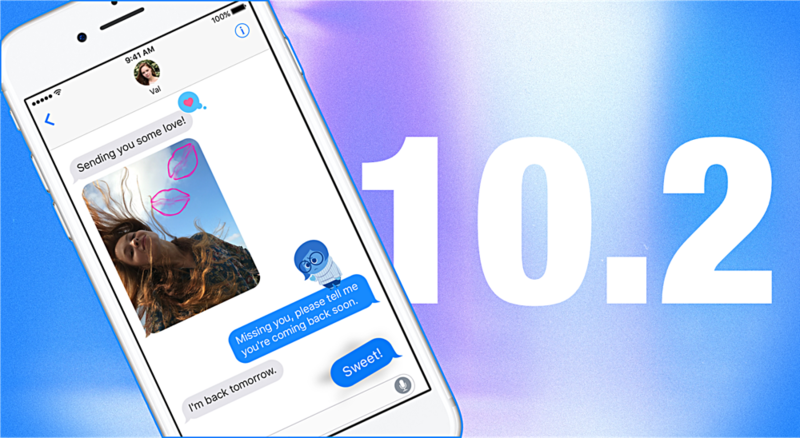 At the time of writing, iOS 10.2 is the latest version of Apple’s mobile OS that can be swiftly jailbroken and is no longer signed by Apple. But, the latest version of Apple’s mobile firmware available to public happens to be iOS 10.2.1. This means, starting today, you can no longer downgrade to iOS 10.2 from iOS 10.2.1, as Apple has ceased to sign the former software. So, if you were hoping to downgrade and jailbreak your device using Yalu102, then you are absolutely out of luck now. But if you are sitting on iOS 10.2 and managed to avoid iOS 10.2.1 completely, then it’s highly advised that you should go ahead and save your SHSH2 blobs first. Once you are done, these blobs will allow you to jump onto a firmware version which Apple isn’t currently signing. But only those firmware versions you can install for whom you have the SHSH2 blobs saved for. Once you are done saving your blobs properly, then you may go ahead and jailbreak your device using the latest version of Yalu102. Simply check out the article posted below to get started. The Yalu jailbreak is semi-untethered in nature, which means you have to re-jailbreak your device if you opt for a restart. But still, given the benefits you get by jailbreaking your device, the ‘re-jailbreak’ bit should not come as a difficult chore to do. It should be mentioned here that Yalu is currently in beta, therefore go ahead with absolute caution before jailbreaking your device. There are a lot of places where the jailbreak is currently very unstable, but nonetheless, it will get you through a day without much hiccups. Also, try avoiding incompatible tweaks at all costs. One bad tweak can take your experience south in the most miserable way imaginable. I can’t emphasize enough on the fact that you should avoid iOS 10.2.1 as much as possible if you hoping to jailbreak your device. Given iOS 10.3 is currently in beta, with the release set to happen in a few weeks’ time, there’s no telling how badly Apple’s latest update will put an end to the jailbreak scene. Exercise caution at every single step of the way, that’s the key thing here.